initiative, bringing together more than 100 creators and activists to the YouTube Pop-up Space in Sydney to inspire them to use their voices to promote tolerance and inclusion. The talented artists who participated in Share Some Good at the premiere of their stories. We hope you will be as impressed as we were by the diversity of perspectives and the creativity behind each of these stories. Share Some Good is the Australian chapter of YouTube Creators for Change, a global movement that amplifies the voices of YouTube role models who are confronting tough social issues through committing US$1 million in equipment and production grants and the appointment of champions from different areas around the world to work on social impact projects. 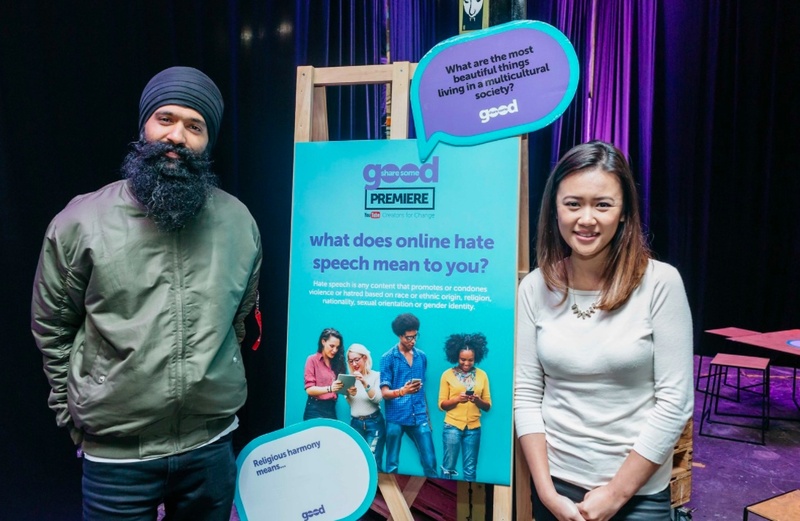 We’re thrilled to have Australia’s Natalie Tran among the 11 Global YouTube Creators for Change ambassadors, as well as L-FRESH the Lion appointed as a Creators for Change fellow. We partnered with social change agency Love Frankie, the Foundation for Young Australians, the Australian Film Television and Radio School (AFTRS) and Vice, which generously offered mentorship, training, and broader support to these creators. Our goal is to enable a chorus of voices using digital platforms such as YouTube to drown out content that promotes violence, hate, or fear. We hope that Australians share these creative stories are motivated to contribute to this growing community of Australians who are seeking to Share Some Good. 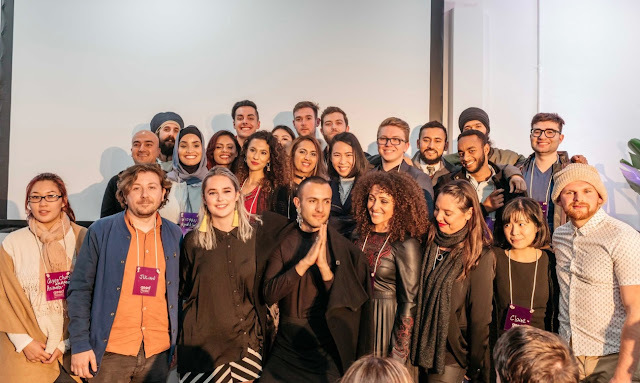 Posted by Samantha Yorke, Public Policy and Government Relations Counsel, Google Australia and New Zealand, who recently watched Dear Future Me by emerging YouTube creator Oliver Levi-Malouf. Video affects us like no other medium. It can heighten our passions, stoke our fears, awaken us to new experiences, make us laugh and cry. It can educate, build understanding and even change the way we see our world. Last year we launched the Share Some Good initiative, bringing together more than 100 creators and activists to the YouTube Pop-up Space in Sydney to inspire them to use their voices to promote tolerance and inclusion.